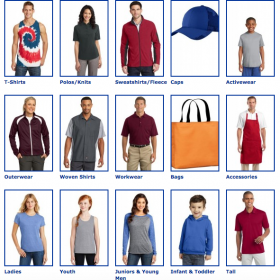 Clothing and Accessories for active adults and children. 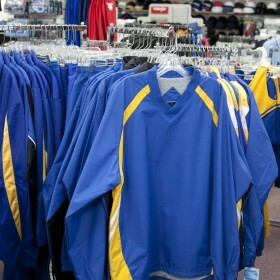 We work with many of the major suppliers in the sports apparel and equipment industry. 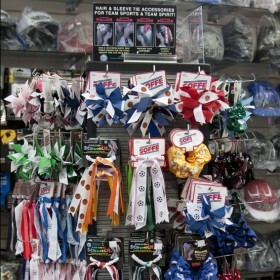 They can provide us with a full line of sporting apparel for youth and adults. 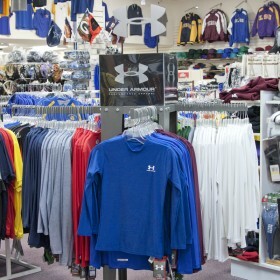 Some of our major suppliers include Soffe, Under Armour, Easton, Wilson, Holloway, Nike and may others just to name a few. Click on brand labels below for more details.